“I’m losing hope,” my friend lamented. It was understandable—she’d been taking online college courses, working full time as a cashier, and between child care costs and rent, there wasn’t any money to pay for a car repair. 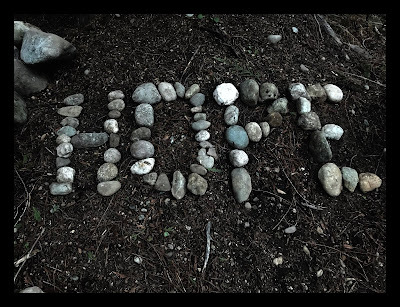 In a time when money problems are prevalent, and you’re working hard for something you don’t yet have, hope can take a beating. I remember Grandma’s hope. She never talked about her divorce, but I do remember her telling me about the ice-cream shop. When she needed a job to make it on her own, Mr. Shubert gave her a chance. She rose at 4 am to mix cream and sugar and operate the hand cranks that churned fresh ice cream. By the time customers would wander in, Grandma had been at work for six hours. What gave her hope? Oh, she’d often tell me what gave her hope. While she was doing all she could to provide for her son, she wasn’t the only one working. God was too. She was waiting on God for what was next. One moss covered section is all that remains of the long wooden fence that once stood as a proud boundary line. Our neighbor affectionately said we had a perfect country fence—it marked out our property, but it was also a nice place to lean while talking to each other. Mom built the fence while I was in college. When we moved here, the fence had weathered over fifteen rainy seasons. Our five-year-old son loved climbing its cross pieces and viewing the world from its heights. The rainy seasons eventually won, and part of the fence fell over in a wind storm. 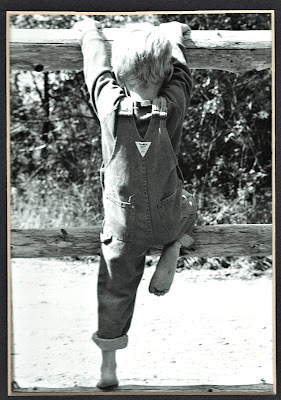 The cedar panel replacement left no footholds for climbing—the season for a little boy climbing fences was over too. This week I walked over to the last section of old fence. It has stood for nearly forty years. Kind of a legacy to my mom’s efforts. But a fence isn’t her real legacy—sharing her love of reading was. As a small child, Mom sat me on her lap and read to me. It might be easy to overlook the recent arrest of Huawei Chief Financial Officer Meng Wanzhou. After all, how many of us even know about Huawei? I didn’t. For a quick overview, Huawei is an international Chinese technology company. Wanzhou’s arrest by US investigators and their extradition efforts should raise concern over China’s dominance in the 5G mobile networks. American investigators collected substantial evidence that this Chinese backed company violated Iranian sanctions. 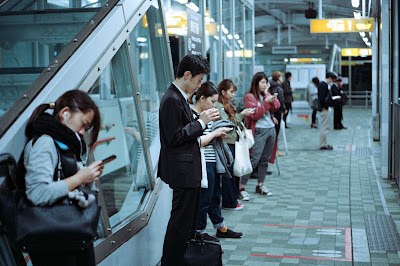 Besides working with a radical regime, Huawei seeks to control the world’s 5G networks. If this happens, much of the world’s data will pass through Huawei’s mobile network. Even though Huawei is a privately-owned company, they are ruled by Chinese laws that require them to share data China deems important for national security. Already Huawei is heavily involved in Chinese Communist Party General Secretary Xi Jinping’s efforts to create the world’s foremost police state. During one of those slow summers when our son was still a boy, we built a fort in our woods. Since none of our trees was suitable for a tree fort, my husband crafted a fort perched up on log posts. It was such a brief season in our son’s life—when there was time for a fort, friends, and freedom. After that, the fort became a place I’d visit when I needed a quiet place to think. It was where my creative husband wrote songs on his guitar. None of us really noticed the time passing by. Then the fort stood silent for years. We stopped visiting. Our son had graduated college and was busy building a life. I had projects taking my time. No new songs were written in that tree level perch. 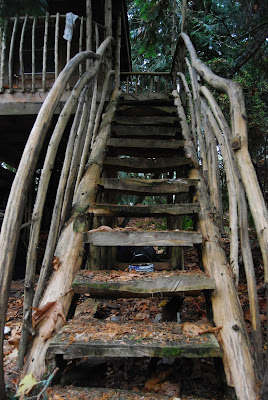 But last week, seeing the door of the fort blown open by a recent storm, my husband climbed the debris covered stairs. He peeked inside and saw the roof had partially collapsed. 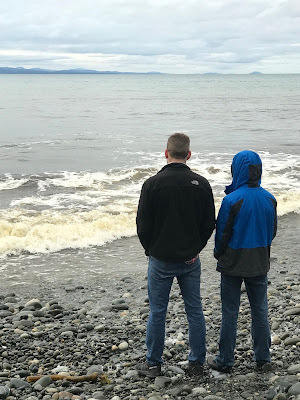 I stood apart from my son and grandson, observing them as they watched the waves. I wondered what they might be thinking, as they stood, mostly silent, along the shore. Then I imagined the world they live in with its increasing demands. Do they feel insecurities from an Instagram world with perfection on display? Hollywood often portrays men as goofballs or superheroes, but neither one is accurate. Modern manhood is evolving and I wonder what impact that has on them. Will these two young men have a harder time accomplishing their goals? They face a competitive world with its vast online network, and a rapidly increasing workforce of artificial intelligence. Careers will look different in their lifetimes. I pray for them as they find their way.